Redmi 5 India launch is expected to next week in country,There is nothing much official known about the device, it has now been confirmed the Redmi 5 will be available via Amazon India; it also mentions what is likely to be the launch time. This comes just a day after Xiaomi teased the Redmi 5 as a compact powerhouse on its social media channels. Amazon India has set up a new webpage that mentions the Redmi 5 will be exclusive to its platform. 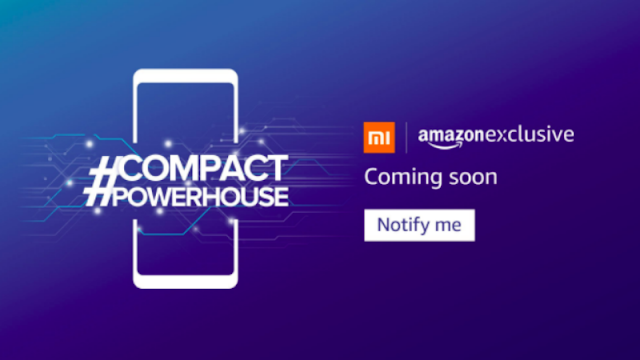 However, that is unlikely as Xiaomi now sells its new products on Mi.com website and Mi Home offline stores, along with an online partner (either Amazon or Flipkart). While the page lists the smartphone as 'Coming Soon', there is a Notify Me button that allows users to sign up to get updates for the handset. Talking about the Specs, The Redmi 5 is a dual SIM (Nano) smartphone , runs Android Nougat out-of-the-box with MIUI 9 on top. It comes with a 5.7-inch HD+ (720x1440 pixels) display with an 18:9 aspect ratio and 282ppi pixel density. The Redmi 5 is powered by a Qualcomm Snapdragon 450 processor and comes in 2GB/ 3GB/ 4GB RAM variants. It sports 16GB/ 32GB of inbuilt storage. The Redmi 5 comes with a 12-megapixel rear camera that has features like f/2.2 aperture, PDAF, and LED flash. On the front is a 5-megapixel selfie camera with a "soft-light" flash module. The front camera also features the company's proprietary Beautify 3.0 capabilities. Additionally, the smartphone is fuelled by a 3300mAh battery under the hood. Redmi 5 could be priced below the it's newly brother Redmi Note 5 that means it will be under 9999 Rs.